People deal with stress in different ways. 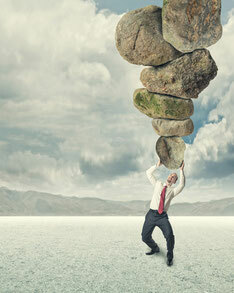 Stress can arise from many of life demands such as work, relationships, money and society. The most common cause of stress being work related. "In 2015/16 stress accounted for 37% of all work related ill health cases and 45% of all working days lost due to ill health". Our body firstly determines if a situation is stressful or not, by using our sensory and input sensors, and combining with our stored memories. If the situation is thought to be stressful then the hypothalmus is activated. This will then send a signal to The Pituary Gland and The Adrenal Medulla. The short term response is to produce 'The Fight and Flight Response' via Sympatho-medullary Pathway (SAM) and the long term response is regulated through Hypothalamic Pituitary-Adrenal (HPA) system. Once the stressor has stopped the parasympathetic nervous system takes control and brings back the balance. HPA stimulates the release of Coritsol from the Adrenal Cortex, which controls the body's ability to steady the supply of blood sugar. This response allows a person to cope with a prolonged stressor and help the body to return to normal state. The effects of a long term stressor is a decrease in immune system, making them more prone to illness, disease and injury. The symptoms of stress can effect your body, thoughts, feelings and behaviour. Stress causes pain or pain causes stress? Stress and pain are very closely linked together. But does stress cause pain or does pain cause stress? Chapman et al, 2008, studied a review of psycho-physiological systems in relation to pain whereby a physical injury or wounding can generate a complex stress response. They concluded that acute pain is an effect of multiple dimensions and are products of the bodies supersystem. They also proposed that when the supersystem is dysregulated, then health, function and sense of well being suffer and can be a result of chronic pain. 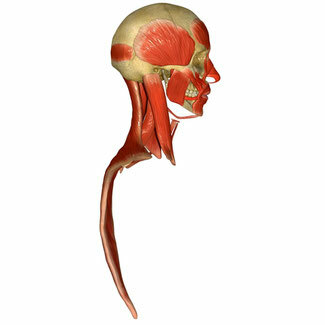 The temporo-mandibular joint (TMJ) is formed from the articulation of the mandible and the temporal bone of cranium. The joint is unique as the surfaces do not touch as they are separated by an articular disc. The movement of the joint is produced by the muscles of mastication. These cause the mouth to protrude and retract, as well as opening and closing the mouth. The TMJ is innervated by the auriculo-temporal and masserteric branches of the mandibular nerve (CN V3). Pain around joint or referred to head, neck or ear. Treatment is usually non surgical and can consist of manual therapy and lifestyle changes. Resting joint by eating soft food and avoid chewing gum. Using hot water bottle or ice pack on joint. Stretching jaw and home exercises. Avoid opening jaw wide and clenching teeth. Relaxation techniques to decrease stress. Painkillers such as paracetomol, iburprofen, NSAIDS. Steroid injections to reduce swelling and help with pain. Surgery is uncommon for TMJ disorder but can consist or Arthrocentesis, open joint surgery or very rarely total joint replacement. Here at The Whitchurch Clinic we are committed to helping you on your road to recovery. Through a detailed case history with/without an examination we can advised if we are able to assist with your complaint. If we feel that we are unable to help we will point you in the right direction. To summarise there are many contributing factors to stress and it is important to identify the cause. If you are not sure what is causing stress or if you are unable to control your levels of stress then it you will need to seek professional help. Stress can affect how you feel, think, behave and how your body works. Common signs of stress include sleeping problems, sweating, loss of appetite and difficulty concentrating. You may feel anxious, irritable or low, and you may have racing thoughts, worry constantly or go over things in your head. You may notice that you lose your temper more easily, drink more or act unreasonably. You may also experience headaches, muscle tension or pain, or dizziness. Stress causes a surge of hormones in your body. These stress hormones are released to enable you to deal with pressures or threats – the so-called "fight or flight" response. Once the pressure or threat has passed, your stress hormone levels will usually return to normal. However, if you're constantly under stress, these hormones will remain in your body, leading to the symptoms of stress, which can cause other illnesses. Hypnotherapy is a positively great way to help alleviate and manage stress on a daily basis, as it works with our minds and bodies.